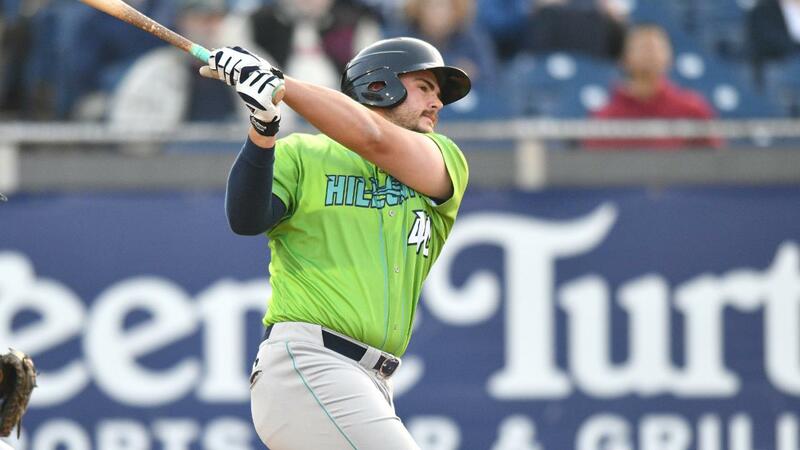 Lynchburg, Va. - The Lynchburg Hillcats are excited to announce that first baseman Anthony Miller has been named Carolina League Player of the Week, the league announced on Monday. Miller, 23, was selected as the league's top hitter for August 27-September 3. The selection marks the sixth weekly award for a Hillcats player this season and the first of Miller's career. Justin Garza and Eli Morgan each picked up two Pitcher of the Week honors this season, while catcher Li-Jen Chu earned Player of the Week. The Kansas City, Mo. native appeared in nine games last week, starting five games at first base and four as the designated hitter. He went a combined 16-for-35 (.457) at the plate with two home runs, 11 RBI, six doubles and four runs scored. His week was highlighted by a career-best five-hit game against Salem on August 31, when he fell a triple shy of the cycle. In that game, he belted two home runs and drove in four. He enjoyed a slash line of .457/.513/.800 last week. After hitting .237 in the first half, Miller rebounded to hit .287 with five home runs, 18 RBI and 12 doubles in the second half of play. He enjoyed the month of August when he batted .333 in 17 contests. Drafted by the Cleveland Indians in the 18th round of the 2015 MLB Draft, Miller notched career highs in home runs (8), doubles (16) and batting average (.264) in 2018. The Left-handed hitter played his college ball at Johnson County Community College in Kansas. 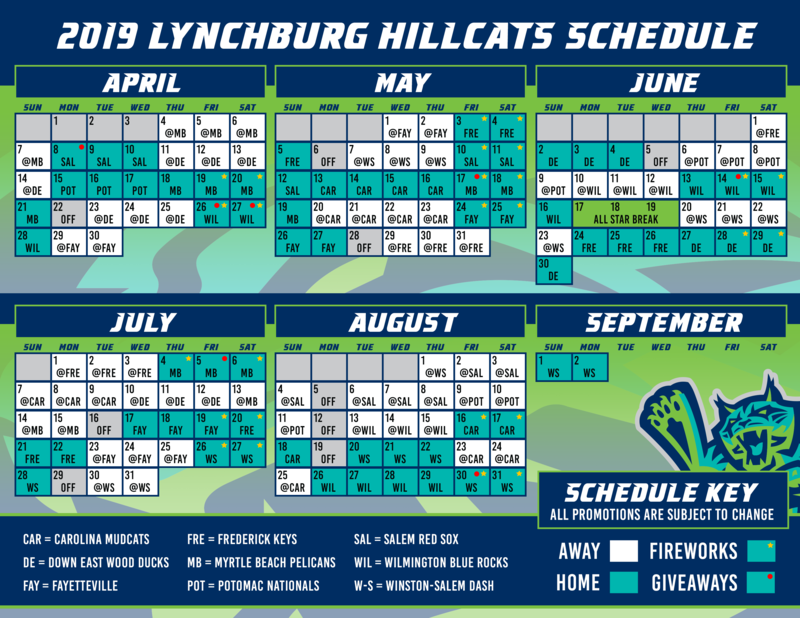 The Hillcats will host post-season games against the Potomac Nationals in the Carolina League Divisional Series on September 5 and 6 at City Stadium. Both contests will start at 6:30 p.m. Fans can purchase $2 tickets, $2 hot dogs and $2 beers at the game, as part of the Back-$2-Back Championship quest.